Spark is developed by the SoMa StrEat Food Park team and is their 2nd endeavor to build community by cultivating social spaces around street food. The Mission Bay location is a partnership with Parklab, a project of District Development, transforming vacant lots into creative community hubs in SF’s newest neighborhood. Spark was designed and built by San Francisco-based LMNOP Design, which specializes in branded environments and public spaces. LMNOP provided turn-key design and construction services for Spark, including initial concept and design development, site layout, permitting, branding, value engineering, project management, custom fabrication, and construction. 1. Where do I park? SPARK is surrounded by street metered parking. We do recommend public transportation to get to us. Take muni line T to the Mission Bay stop or take Caltrain and get off at 4th and King and take a short 10 min. stroll! 2. What’s happening at SPARK from 3-5? Most trucks are closed, rotating in and out to prep for dinner at 5pm. However, we always have at least 1 truck open, as well as Sip Bar. 3. Can I get food catered? For reservations, we recommend pre-ordering from our permanent vendors scheduled that day. If you want trucks to come to your offsite event, visit here. 4. Can I preorder food? Yes, you can pre-order party platters for your reservation. 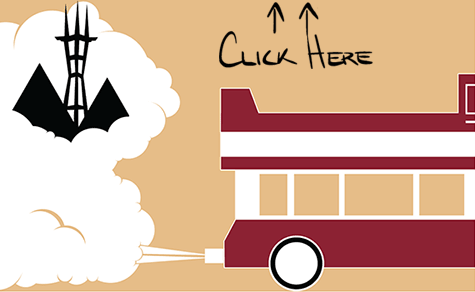 Email us at info@sparkmissionbay.com, to request a list of the food trucks scheduled for a particular day. 5. How do I make a reservation? SPARK has various options that can accommodate different group sizes. Book your next event here. 6. Do I have to make a reservation to go to SPARK? No, you do not. However, we recommend making reservations for groups over 10 people. Otherwise, we have first come first serve seating for SPARK patrons. 7. Can I bring my pet? Yes, your furry friends are welcome at SPARK, however, they are not allowed on the Field. 8. Can I bring my kids? Yes, SPARK is family friendly! 9. Can I bring my own food or drinks? No outside food or drinks are allowed, except for water, cupcakes, or a cake for special occasions. Please bring in your own utensils for the cake, for we do not have any to provide. 10. Where can I see the truck lineup? Our truck lineup is updated every day at 10am on our social media pages, or here. 11. I have my own truck, can I become a vendor? Yes, you can find our new vendor application here. Have a question? Want to learn more? Interested in building something like this in your part of town?